Hi Pollyanna! This is one I haven't seen b4, but will keep my eyes open for it. It is really lovely. 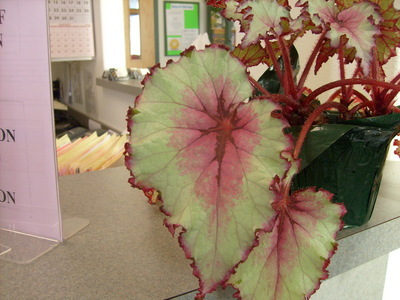 As Chris says above, we need Marksbegonias (help, Mark!! ), who would be my best bet for identifying it. Pollyanna - if you need to contact Mark, type 'Marksbegonias' into the search box top left and send him a private message. I am sure he will help.